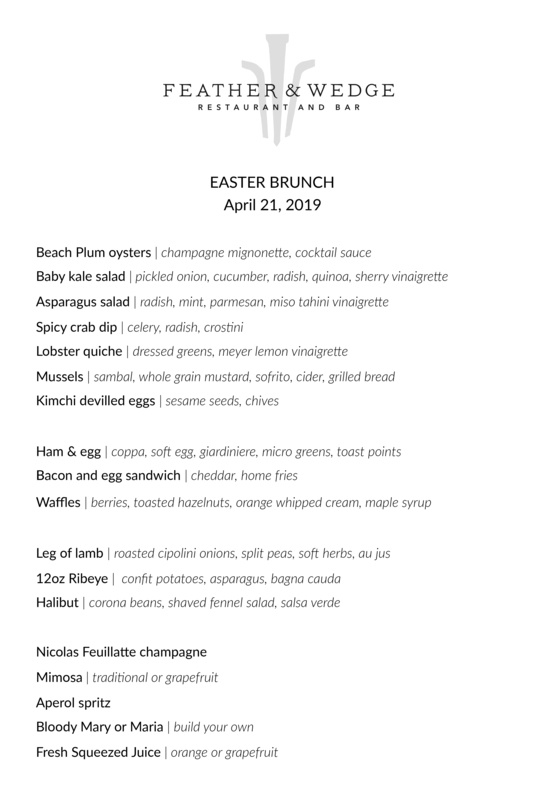 There is no better way to celebrate Easter than with a special brunch at Feather & Wedge.View menu here. Book your table soon. Space is limited! To reserve your table, call 978.999.5917.